I do like Sydney's a lot. hockey week wrote what I was feeling here in almost exact words I'd use. These all look fantastic. I do kinda wanna see the Piranha jerseys done. My personal fave set if the 1st set you showed. The hem stripes look traditional, but also modern. 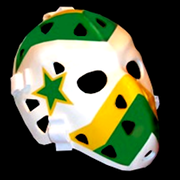 Well, if you guys want to see Piranha jerseys... give me a few days to whip something up. I'll post them after I've posted the rest of the 16, along with some bonuses for the teams I've come up with in the new rosters. There are some odd names (eg. Wisconsin Cheese Fighters, Istanbul Mameluks, New Jersey Mobsters, Beijing Smoke, etc.) that I made up for the roster sheet as a joke, but the more I see them, the more I want to attempt designs for them. Stay tuned on that front. Anyway, we're moving on to the final non-boss team of the bunch: the #8 ranked Monte Carlo High Rollers. This one has a fairly elaborate story behind it. For some weird reason, I always pictured there being two teams in Monaco, much like Montreal in the early days of the NHL. Each team was separated by neighbourhood and class. There was the High Rollers, based in Monte Carlo, a more working-class team, popular outside Monaco, and the more swanky La Condamine Yacht Club, a team of rich wayfarers who played some hockey between martinis and high stakes financial deals. In the story, the two combined when the global recession hit, and took Monte Carlo's name and a retro form of their dice-based logo. 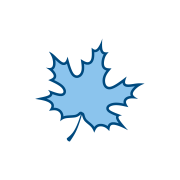 However, they also took La Condamine's colours - blue and white. 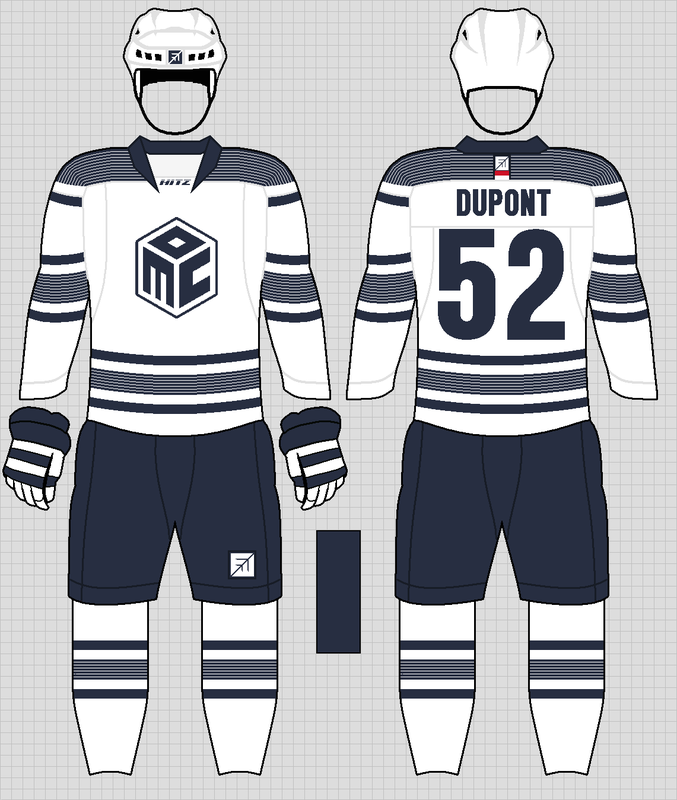 The jersey design is similar to the Yacht Club's, too; the design sees many small blue and white stripes, making it look like a sailor's shirt. 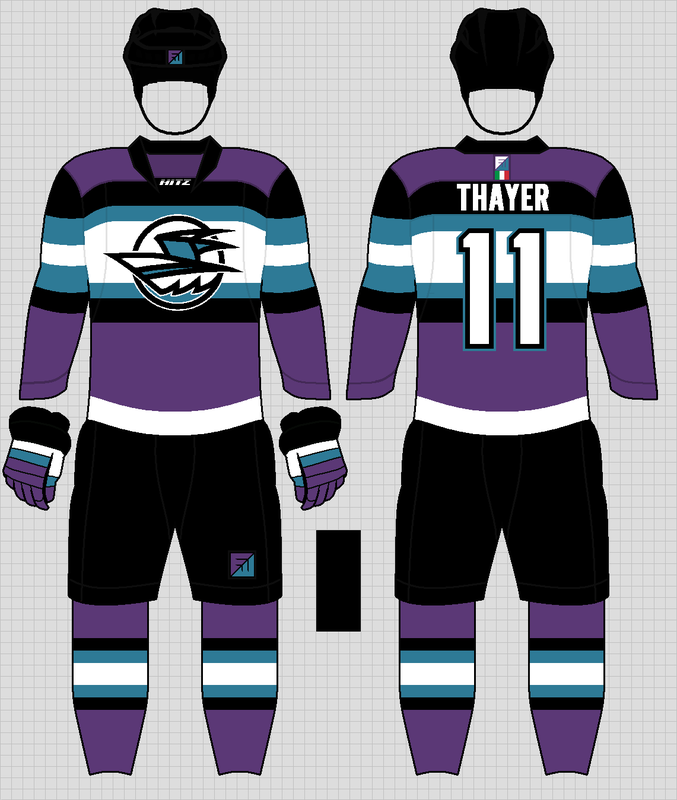 The alternate sees a similar effect: a High Rollers jersey with the Yacht Club's logo on it: an abstract yacht ripping through Mediterranean waves. 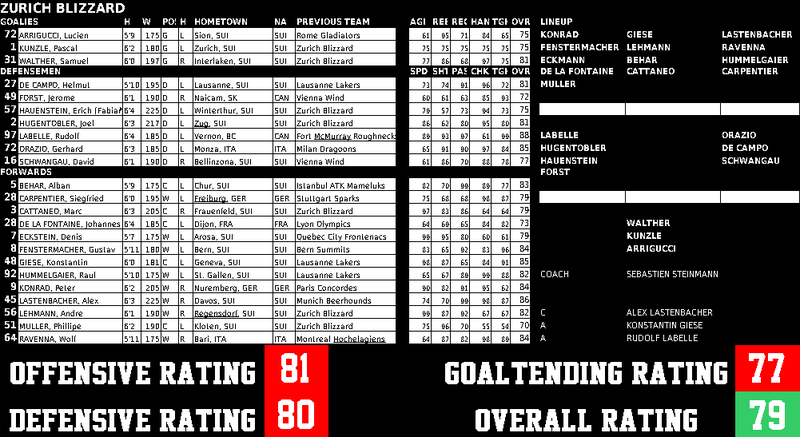 The goaltending is pretty bad, and beyond Italian native Filippo Thayer, the D isn't too good either. Most of the best forwards are Canadian-born players, like Vito Tiraboschi, Chris Dupont, and Gerard Deschamps. This team likes to shoot first and ask questions never. 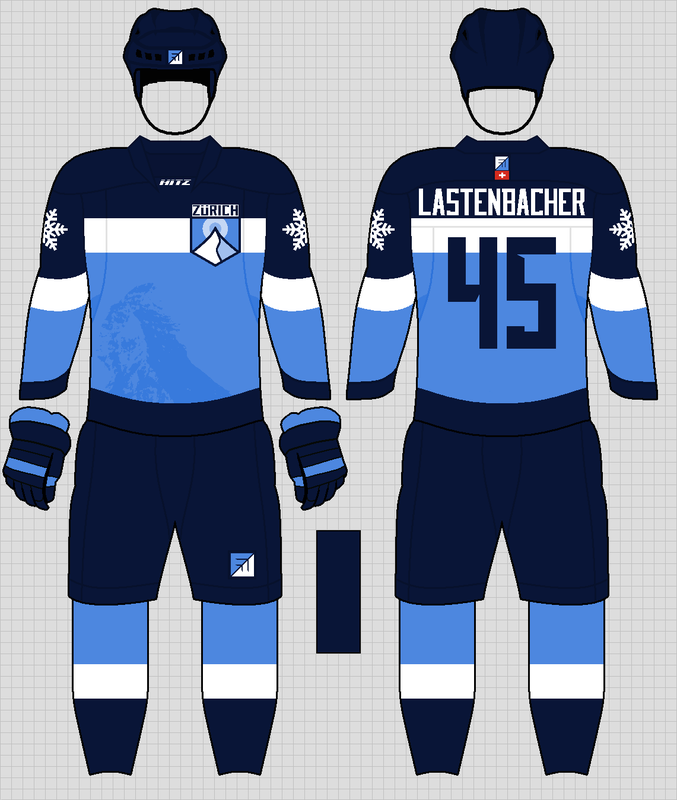 We'll be heading to the Swiss Alps for the next team; a boss team with a gorgeous home rink, and - hopefully - a uniform set to match. these are all absolutely amazing. may i request a piranha set, anyway? you've done one that makes the name appropriate for the location with the sydney set. how about relocate the piranhas to an appropriate city, and show us how they'd look now? The home and away are absolutely fantastic. The alternate is good, as well. I think the logo should be a tad lower, though. I like the alternate a lot! The alt is my least favorite, but I get how it fits the story. I didn't even notice the lines of the shoulder yoke and stripes until I saw it on another monitor. It's fantastic or terrible...I guess if they blend at a distance, especially on a tv, it's fantastic, and since it took me this long to notice, I'm going to say it works. I really like the logo. It's a very abstract die, with the negative space of the letters forming the dots. Well done! Not fond of the yokes on Monte Carlo having all those stripes. In fact, I think all the stripes should be streamlined just a tad. It looks cool up close, but from far away it won't have that effect. I love the jerseys besides that though. That logo is very sleek. Good news! I'm about 75% done a set for the newly-relocated Panama Piranhas. Just need to iron out some kinks and I'll post it here when it's done. In the meantime, here's the second of eight boss teams: the #7 ranked Zurich Blizzard. Ok, not bad. It's pretty dated though, with the pointy yokes and arm stripes. Zurich, in this alternate universe, is a team with tradition; a traditional, yet appropriately odd, set is the perfect fit. Each set is classic and minimalistic, with clean features; quintessentially Swiss in design. Both home and away feature a sublimated print of the Matterhorn on the front; it takes a more prominent role on the alt. 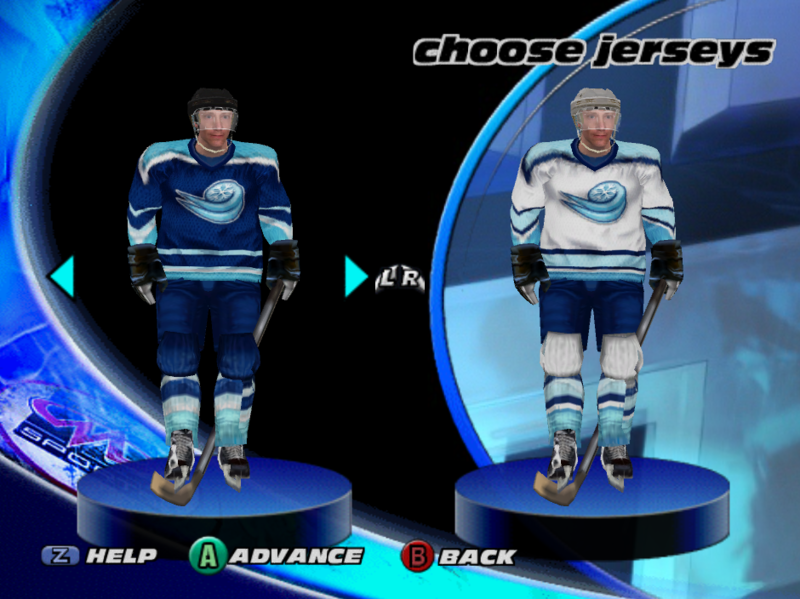 The alt was part of a self-challenge; make a jersey without any white, without making it obvious. Their goaltending is just flat-out bad. Their defense, anchored by Rudolf Labelle and Gerhard Orazio, isn't too hot, either. They have a very consistent forward core, though, with Swiss-born players Konstantin Giese and Alex Lastenbacher holding down the fort. Next team will be out east. Far East, in fact. Stay tuned. I am very late... But I really have no complaints. I remember this game fondly as well and all of your redesigns make me kinda nostalgic. I love it. Great job. 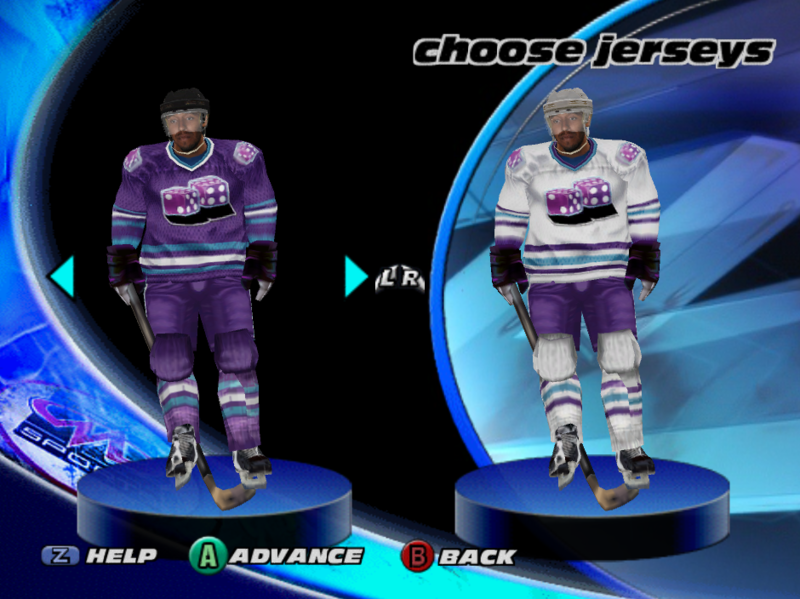 I am very excited for what you have in store... Maybe, later on, NHL Hitz 2003? Love the Blizzard set. That's how sublimation should be done. I just now realized you haven't been doing sleeve numbers. It wasn't until the snowflake logos where the numbers would usually be did I realize. Not a fan of that much, because they are so essential to calling a game. I also wish the numbers on Zurich were low enough that they didn't intersect the shoulder stripes, or they had an outline to better separate them, but I suppose it does work. We're continuing on with the boss teams and the Japanese entrant, the #6 ranked Tokyo Herons. First, as usual, the 2002-03 unis. Simple, traditional... and boring. Nothing reminds you of Japan, nothing excites you... and don't even get me started on that weird square behind the logo on the red uni. 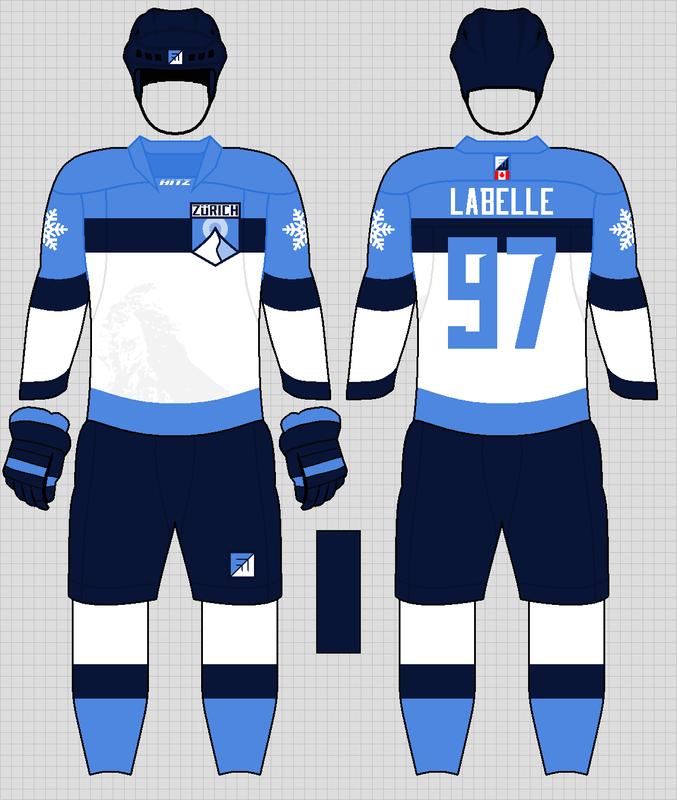 Added grey to the colour scheme and added modern striping. New logo; new font; basically every single stitch is brand new. Each player's name is written on the back hem stripe in Japanese. 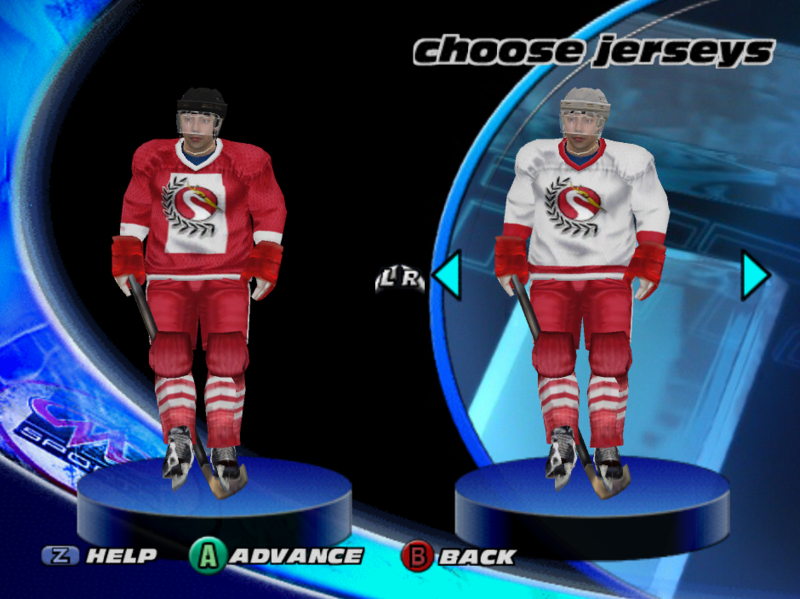 On the alt, the Japanese characters on the front spell the team's name, while the back stays the same. 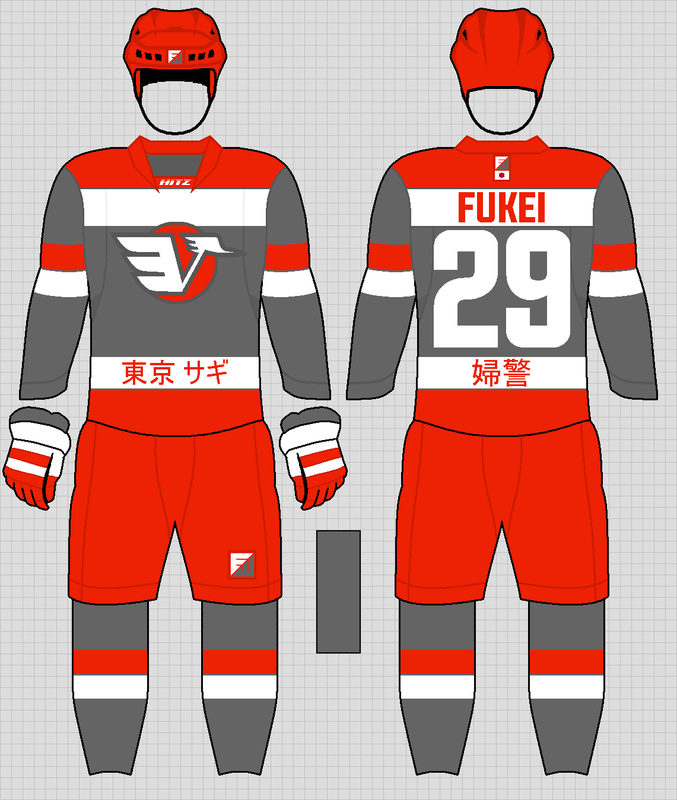 Here are the 2015-16 Tokyo Herons. 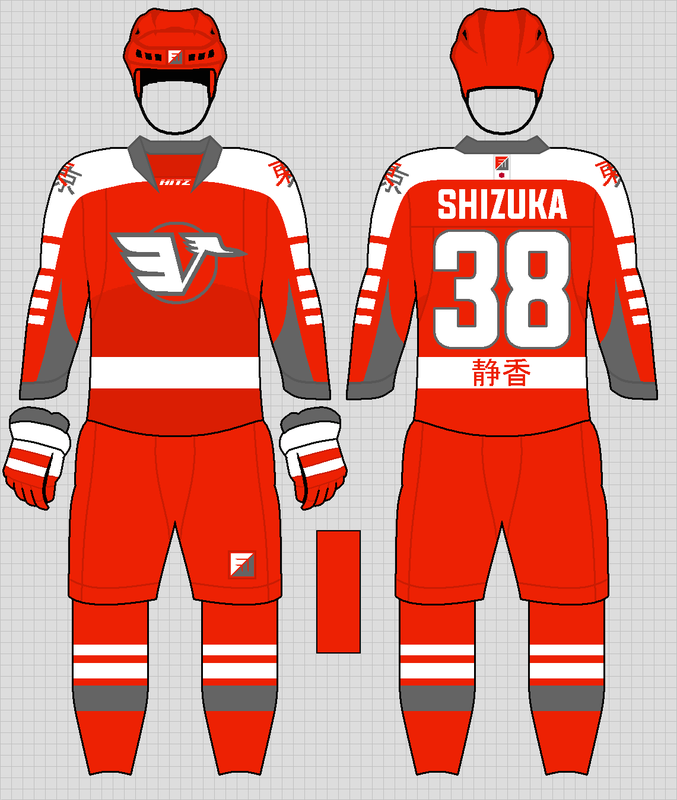 Shin Shizuka and Ryo Takahashi pace the team on D, the first line of Sato-Kawasaki-Tachibana is good all-around, and goaltender Motohito Fukei is likely to stand on his head all game. That said, the team doesn't have a deep lineup. Next team plays in a city on a river, with an ever-present Eye and a clock that all can see. Bump for visibility, next team is done and will be posted in next few days. In the meantime, reply time. 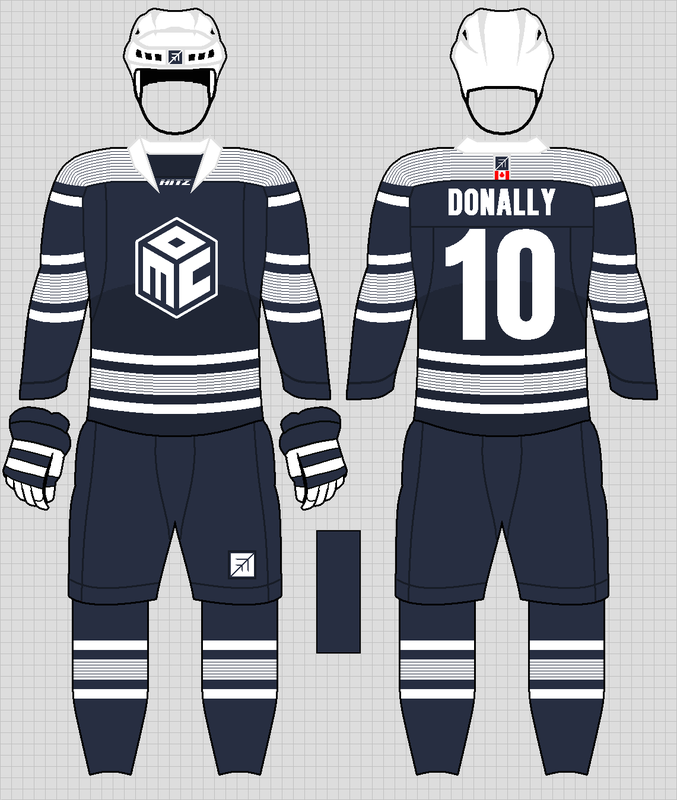 - Piranha jerseys are done, but I'm having some logo trouble. I'll get those posted after the first 16 teams are done, which shouldn't take too long now. - I've also finished an update for the Monte Carlo team, with the shoulder yoke stripes toned down a touch. That'll be posted along with the next team's unis. 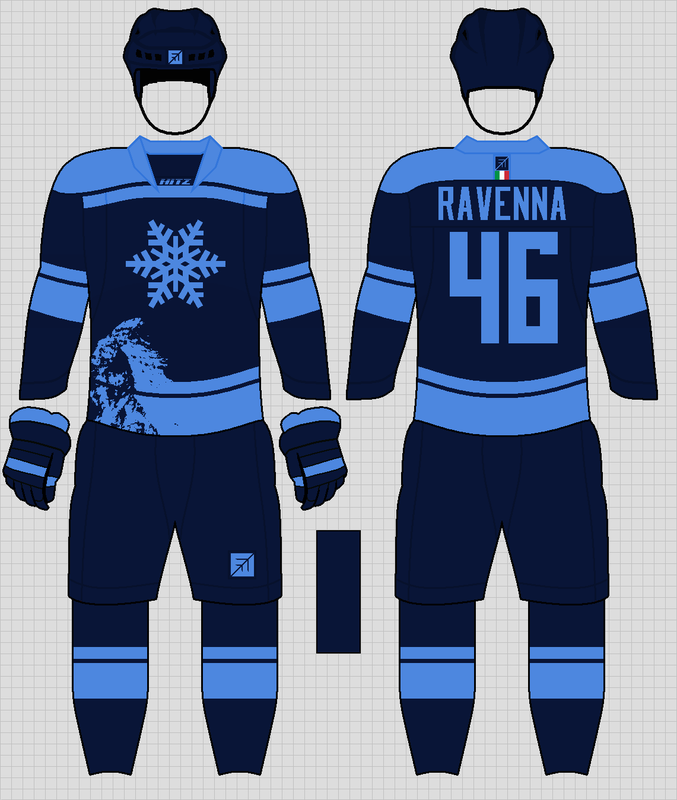 - As for sleeve numbers, I'm not doing those for this because none of the teams in the game wore them, including the NHL teams. Just trying to keep the details consistent. 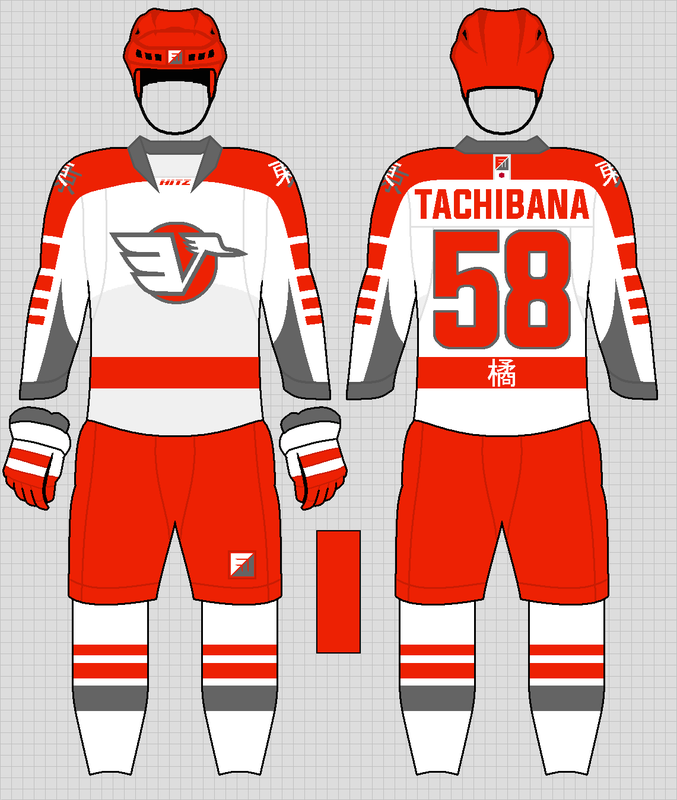 The look is perfect for a Japanese team, very modern, very different, very Japan. You might want to hang on to that logo for a future concept, it could be a roadrunners logo without any changes (but what's the difference between a heron and a roadrunner when you stylize it? Not much I'd imagine). It totally works, I just thought "roadrunner" when I saw it. I didn't realize the game didn't bother with sleeve numbers. That's a perfectly logical reason, carry on! Good stuff. Keep it going. I'm afraid I see the Warner Brother's Roadrunner instead of a heron. I think the head from the original combined with the wing from yours will bet you closer.